We currently have vacancies for a support workers, offering a permanent 30 hour contract within our Adult day services at TouchBase Glasgow. Our Adult day service provides support to a number of individuals who have a wide range of needs All support is person-centred to that individual. We are passionate about developing the people outcomes and achievements in life of the people we support. We are looking for motivated and confident individuals who will work in a person centred way to ensure consistent support for each individual. The person you will be supporting may have limited communication, therefore we require staff to work hard to develop and understand how each person communicates. At times people may communicate in ways which can be challenging, you will receive full training in challenging behaviour and a support plan is in place for you to follow. Each individual we support has their own planner which includes activities in TouchBase and in the community. We would require you to provide support in chosen activities and help develop new activities and relationships where possible. Some of the activities in our Glasgow TouchBase centre are; music/art sessions, rebound therapy, holistic therapy, sensory room and physiotherapy. Outwith the centre activities include ; swimming, walking groups, horse riding, shopping, lunch groups, visits to museums and other day trips. Supporting with personal care and administration of medication is also required within this role. We are looking for Support Workers on an ad hoc basis up to 35 hours per week to cover shifts for contracted staff covering day shits. 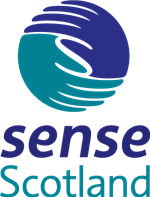 Sense Scotland has an extensive package of staff training and terms and conditions for staff to support them in their role, each staff member is allocated a supervisor and you will receive supervision in your role and access to peer support through team meetings.